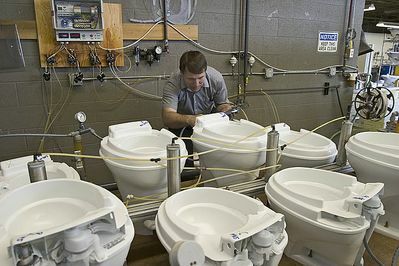 Ann Arbor, Michigan - Rick Danks, an electronic technician at Thetford Corp., oversees quality control testing of toilets for recreational vehicles. The toilets are being repeatedly flushed automatically. Thetford makes toilets, toilet supplies, and other products for RVs.